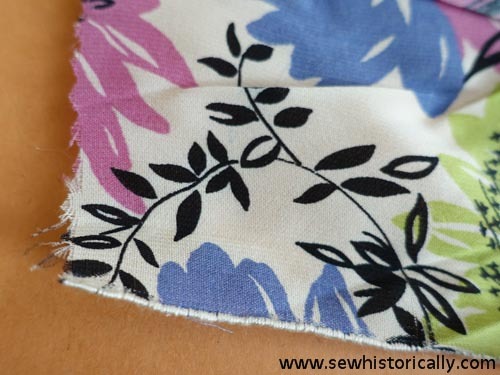 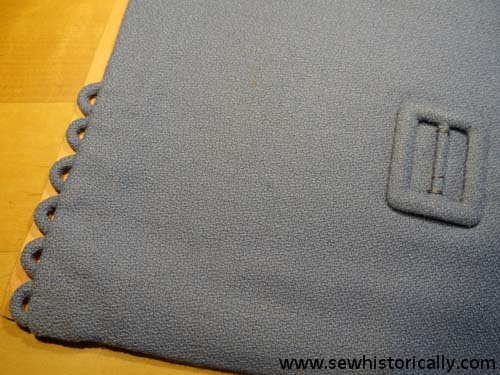 Part 6 of my ‘Vintage Embroidery And Sewing Techniques’ series with two 1950s samplers with fabric button loops, seam finishes, and a fabric-covered belt buckle. 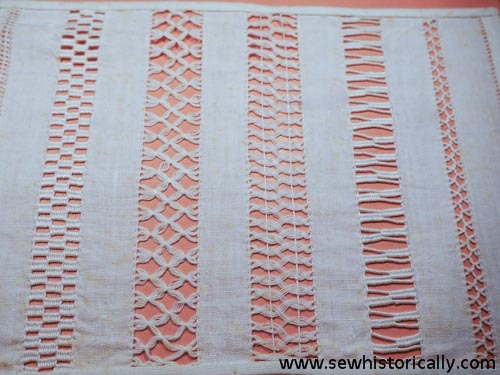 Some more samplers of my grandmother which she made between 1950 and 1952 in her dressmaker’s apprenticeship. 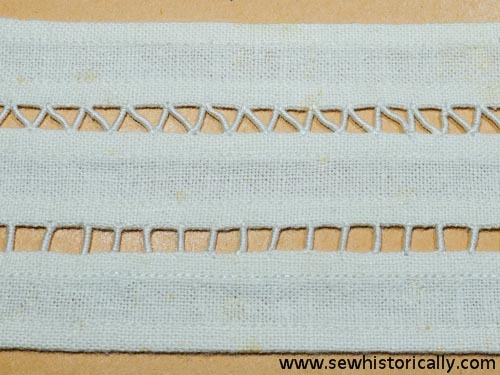 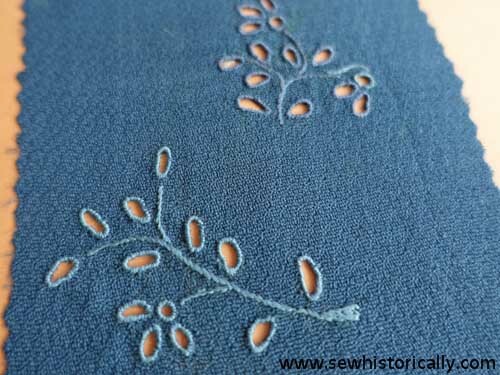 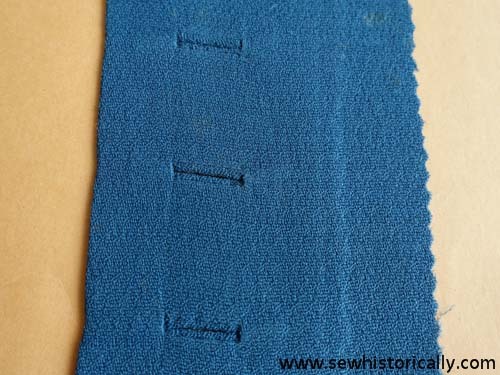 Today I have two samplers with buttonholes: one with hand bound buttonholes, the other with hand worked buttonholes. 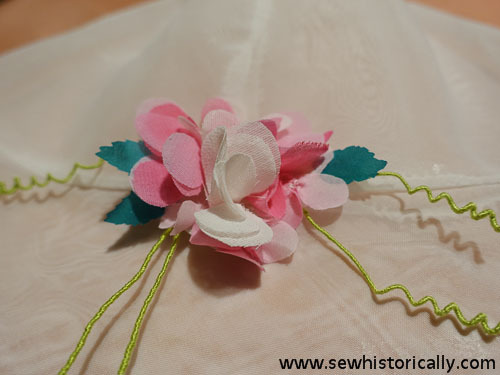 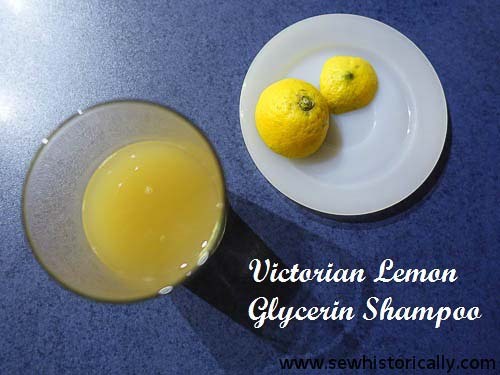 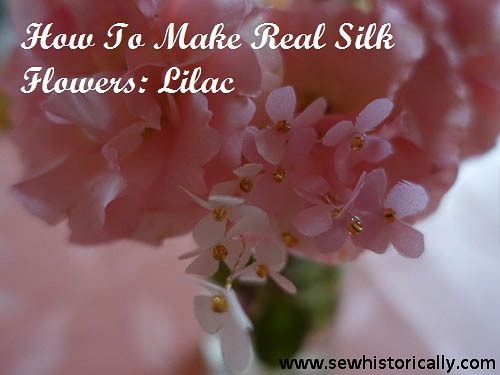 This is part 2 of my series ‘Vintage Embroidery And Sewing Techniques’. 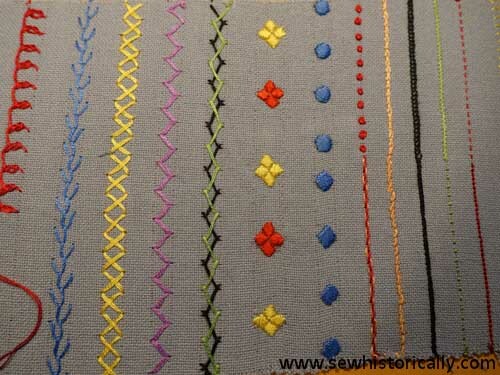 Now I’m sharing with you three samplers with hemstiching and tucks.